when I travel, I end up taking the products that I use the most in my everyday life. 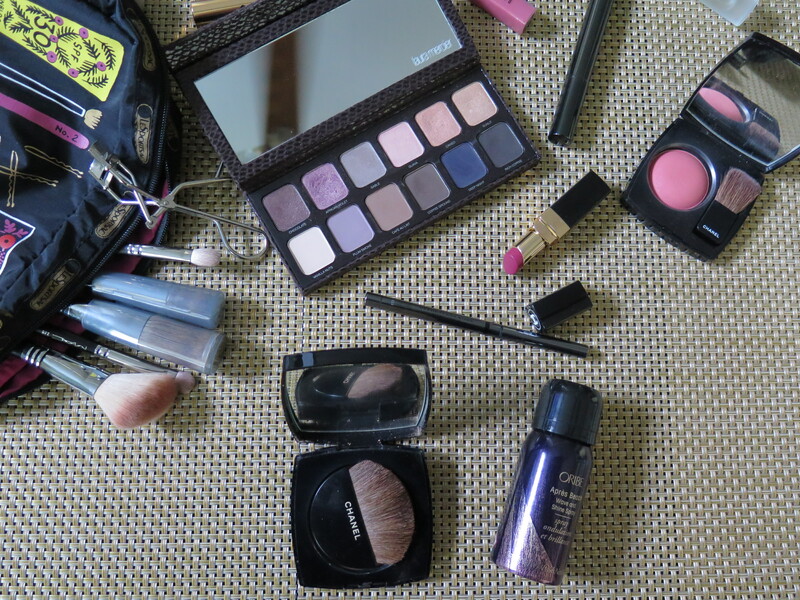 I pick my favorite blush, eyeliner, mascara, powder, & perfume. for eyeshadow, I either pick 1 or 2 of my favorite single shades or a single eyeshadow palette. as for lip products, I usually pick a neutral & something with a little more color, usually with one in gloss form and the other as a lipstick. if I’m going on a low key, casual vacation where I don’t really need to dress up with a full face of makeup, I’ll just bring along a pressed base that’s quick & easy. since we’re going out to dinner to a nice restaurant one of the nights out here, I also decanted a little bit of liquid foundation and face primer into travel pots. for the same reason, I also threw in a mini hairspray in case I want to do something with my hair. for tools, I stick with an eyelash curler, 2 eyeshadow brushes, a powder brush, a blush brush, a foundation brush, & a concealer brush. 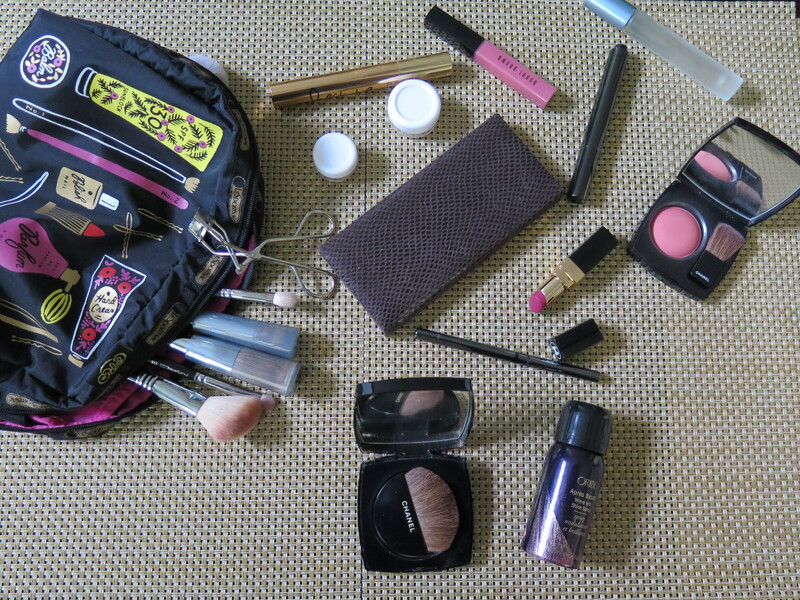 everything non-liquid gets tossed into this adorable & roomy makeup bag. I love that it’s compact but is large enough to hold full-length brushes. my liquids get tossed into one of these, which goes into my personal bag, making it easy to take out for security. Ohhh so pretty :D I usually just carry a lipstick and a lipbalm!